This volume is comprised of a collection of diplomatic documents covering British reactions to, and policy towards, the collapse of the German Democratic Republic and the unification of Germany in 1989-90. The peaceful unification of Germany in 1989-90 brought a dramatic end to the Cold War. 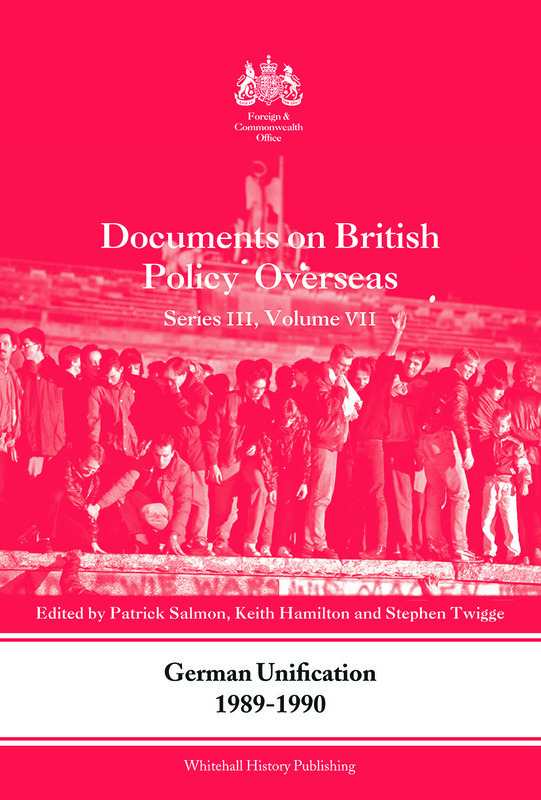 This volume documents official British reactions to the collapse of East Germany and the fall of the Berlin Wall, and the evolution of British policy during the ‘Two plus Four’ negotiations that provided the international framework for the merger of the two German states. All of the documents fall within the UK’s 30-year rule and have therefore not previously been in the public domain. Most are drawn from the archives of the Foreign and Commonwealth Office, but there are also a large number of Prime Ministerial files from the Cabinet Office archives. These are of particular interest for the light they throw on the views of Margaret Thatcher. Taken together, the documents show that despite Mrs Thatcher’s well-known reservations about German unity, the United Kingdom played a vital and constructive role in the negotiations that helped to bring it about. This volume will be of great interest to students of International History, British Political History, and European Politics and International Relations in general. Patrick Salmon is Chief Historian at the Foreign and Commonwealth Office. Keith Hamilton is a Historian at the Foreign and Commonwealth Office and Senior Editor of Documents on British Policy Overseas. Stephen Twigge is a Senior Historian at the Foreign and Commonwealth Office.